Club Monaco is an international fashion retail house that offers timeless and modern designs of casual clothing and accessories for men and women. It is a subsidiary of Polo Ralph Lauren. The company was founded in Toronto Canada in 1985 by Mimran and Alfred Sung. In 1999, Polo Ralph Lauren bought the Club Monaco and practiced a downplayed ownership of the brand. Club Monaco has over 140 store locations in 15 countries, with its headquarters in New York. It is widely known for its creative mix of classic, vintage and modern designs which is a unique but equally successful combination. The company is known as one of the most generous in giving employee discounts. People like working at Club Monaco because it provides an excellent working environment to its staff, giving them the wide and comprehensive experience for both the fashion and business side of the company. Club Monaco is always hiring new employees. Applicants should be 18 years old and must have a degree related to the field applied for. The most common jobs in this fashion house are: Key Holder, Sales Associate, Brand Manager, and Associate Designer. Keyholders focus on good client relations to generate sales. They are also responsible for monitoring and executing product moves and markdowns. Sales Associates are the company front liners. This is a client-centered job focused on ensuring that customers get a quality Club Monaco service by providing excellent assistance. Brand Managers are in charge of keeping marketing and advertising efforts in place. They visit different branches within their assigned region to make sure everything is aligned with the brand image and business direction of Club Monaco. Associate Designers are the future fashion artists of the company. They are exposed to different working teams and environments to learn the ins and outs of the brand’s creative side as well as the partners. Other common positions are: Store Manager, Visual Merchandiser, Social Media Assistant and Assistant Buyer. Since Club Monaco is a subsidiary of Polo Ralph Lauren, their recruitment team is also within the parent company. Applicants can apply online through the Ralph Lauren website. They can also personally submit their applications in Club Monaco and Ralph Lauren branches. In filling up the application form, make sure to provide up-to-date information such as contact number, email and home address. Also, be specific in listing credentials such as educational background, and related work experiences. All submitted resumes should be short and easy to understand. The lesser the page, the better. Avoid being over-promising but include all your credentials and put emphasis to your best skill and talent. Always be prepared for a phone of personal interview. Lay down all the important points that should be mentioned such as important contributions and accomplishments in previous jobs or school organization involvement. Be punctual, courteous and dress nicely with pastel neutral colors. 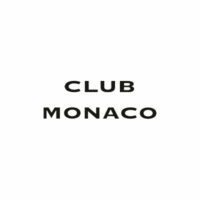 Club Monaco maintains an excellent work environment that provides career growth for all its employees reflected in various employee benefits, programs, events and activities. Club Monaco has undergone some major developments in business strategies and fashion innovation since 2015. It now positions itself as an affordable brand specializing on luxury and urban styles. The mid-priced brand is best known for its classic black and white styles centering on minimalist designs. The upscale brand’s CSR programs are enveloped within the philanthropist efforts of Polo Ralph Lauren such as fund donation for cancer patients, education and development of remote areas.